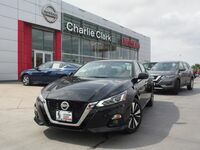 There's always a buzz of excitement around the launch of a new model and for the 2019 Nissan Altima that excitement is growing. With a new design and technological improvements, the 2019 Nissan Altima is a big step forward for the brand. 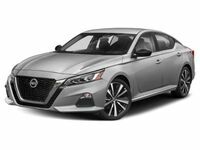 Boasting two different engine options, including Nissan's first production-ready variable compression turbo engine, and plenty of tech the 2019 Nissan Altima is a top-of-the-line sedan. We'll go through what's new in this year's model and the engine options available to you. Find your Nissan Altima Match! The 2019 Nissan Altima also sports a lower and wider design inspired by the Vmotion 2.0 concept. Standard on the Altima will be Bluetooth Hands-free phone systems, hands-free text messaging assistant, Siri Eyes Free and Google Assistant Voice Recognition. It will also be able to pair with Apple Watch and Android Wear through the NissanConnect Services app. Th app allows for remote engine start and stop, remote lock and unlock valet alert. The 2019 Nissan Altima will hit the market Fall 2018 and will come in five different trim levels: S, SR, SV, SL, and Platinum.